How secure is the data in AbtracOnLine? Why am I getting logged out of Abtrac? Is there a spell checker in AbtracOnLine? How do I set up default tasks? How do I set up the default number of rows I see in a table, making the page size the same for all pages? Can I still have a shortcut icon on my desktop, taskbar, and start menu for AbtracOnLine? How do I download multiple pdf invoices? Why do my invoice emails sent from Abtrac have funny sender address? Teams or Departments, Which should I use? How many billable hours do you write off? 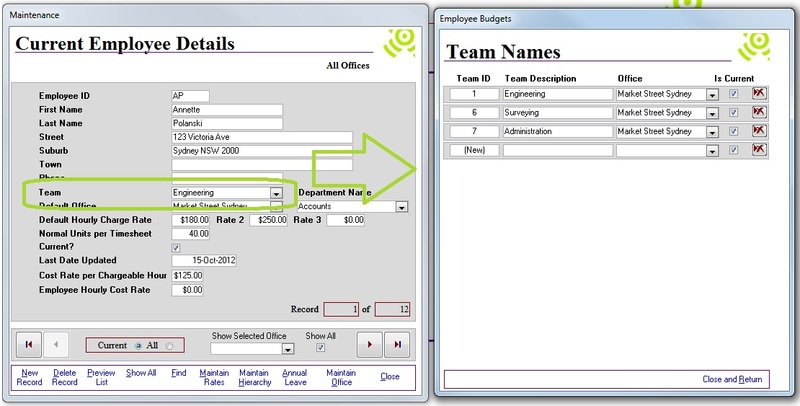 A Team is assigned to an Office, and as such can be filtered in reports by office. A Department is a stand-alone group that both employees and projects from multiple offices can belong to. 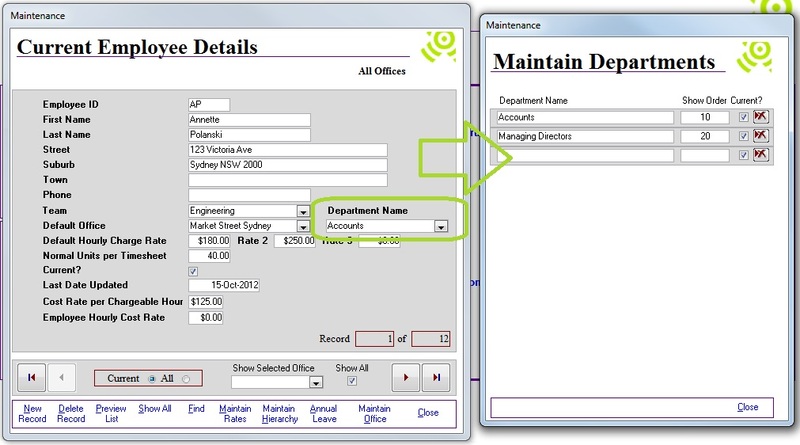 Both groups can be created and maintained from the Administration screens. Teams and Departments are accessed from System Management > Administrator > Employees, by double clicking on the Team or Department fields. This entry was posted in Administration Settings, Employees, Jobs & Projects and tagged default settings, department, employee details, FAQs, job details, project details, team by Jen. Bookmark the permalink.